Let's get some fresh air with a Nature Walk! 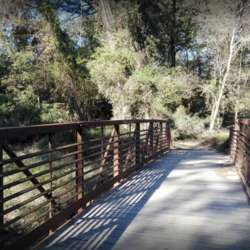 We will be doing the paved sidewalk walking trail around The Woodlands Waterway. NOTE: Bring a Backpack to hold essentials. Wallet, car keys, hat, neck towel for sweat, sunscreen and water bottle. No water is available on the trail. Also, there are no public restrooms. Please dress appropriately in athletic gear – tennis shoes.